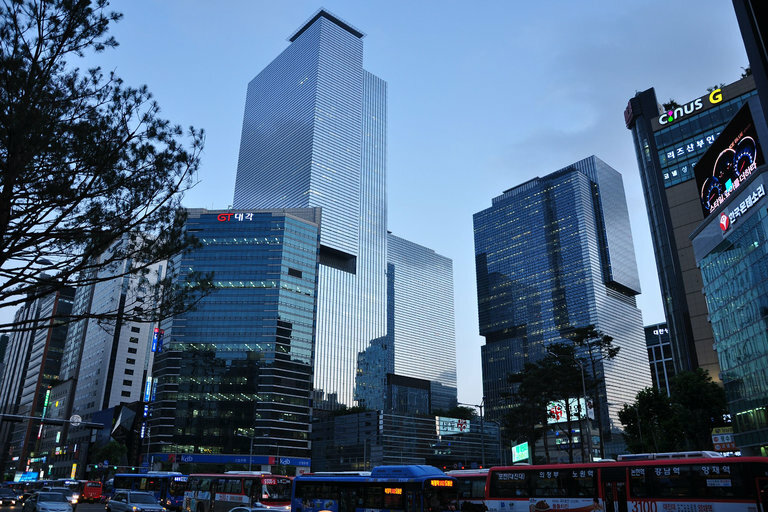 SEOUL, South Korea — This is a partial list of the businesses of Samsung, the South Korean business empire: smartphones, microchips, insurance, gas ovens, hospitals, dishwashers, cargo ships, stocks, microwave ovens, apartment buildings, vacuum cleaners, credit cards, pharmaceuticals, air-conditioners and bidets. Samsung is South Korea’s No. 1 brand and, when all its products are added together, its single biggest export. It dominates South Korean business and social life in a way that can be difficult for outsiders to comprehend. That dominance may make it difficult to keep its top executive in prison. A South Korean court on Friday shocked the country by sentencing Lee Jae-yong, the third-generation de facto leader of one of the world’s largest business empires, to five years in prison after his conviction of bribery, embezzlement and other charges. Mr. Lee’s attorneys have said they will appeal, and experts predict a fierce legal battle. Mr. Lee is not the first big business figure in South Korea to be convicted, but if he stays in prison it would represent something of a milestone. His father, Samsung’s longtime chief, was twice convicted of crimes and twice pardoned by a South Korean president. Other top business South Korean leaders have avoided conviction, negotiated light sentences or been allowed to run their corporate empires from prison. South Korea’s government is now run by a president, Moon Jae-in, and a political party that have criticized the excesses of the country’s biggest companies. That has many in South Korea predicting that Mr. Lee, if his conviction is upheld, will serve out his prison term. But to many South Koreans, Samsung and its many corporate offshoots symbolize the country’s rise from war and poverty to become one of the original Asian economic success stories. Should Samsung stumble while Mr. Lee is in prison, public pressure could mount to free him. “Samsung is the No. 1 brand of Korea, one we’re proud of,” said Cho Wung-ki, a 78-year-old retired businessman, whose son works at a Samsung company that provides engineering services, runs resorts and owns a fashion line. Samsung is among a group of family-run companies called chaebol, “rich clan” in Korean. The 10 largest chaebols generate revenue accounting for over 80 percent of South Korea’s gross domestic product. They are among the companies that South Korea’s pre-democratic military rulers partnered with to build a global exporting powerhouse after the Korean War — a partnership that South Korean school textbooks credit with helping the country’s rise. Those partnerships also bred corruption. Six leaders of those 10 giants have been convicted of white-collar crimes, yet many were pardoned or their sentences were commuted. The sentence could put greater pressure on front-line Samsung executives like Kwon Oh-hyun, head of the company’s huge and profitable semiconductor business. Samsung portrays Mr. Lee, the vice chairman of Samsung Electronics and its acting leader since his father slipped into a coma three years ago, as the company’s strategic visionary, though experts say the businesses are generally run by technocrats. But even behind bars, Mr. Lee could still hold effective control over the Samsung empire. Other South Korean companies have been run by powerful family members behind bars, and Mr. Lee will most likely have significant access to top Samsung executives while in prison. Part of that power comes from the sheer breadth of the Samsung business. Beyond its famous smartphone and television brands, it makes heavy equipment like cargo ships and even manages some of the country’s most respected hospitals. Samsung sponsors some of South Korea’s highest-achieving athletes, and many children of the elite seek employment there. Samsung was also among the first major businesses to offer name-brand apartments. Samsung built scores of apartment complexes around the country under brand names that included Raemian, which means “may the future be beautiful and comfortable.” The complexes, which became popular in a country where American-style single-family houses are unusual, offered a brand and reputation that suggested a strong resale value. They also symbolized aspirational wealth, as portrayed in a 2007 commercial in which a boy who lives in a Raemian complex wins over a classmate through its well-appointed playground. Samsung’s brands in general enjoy a reputation for quality in a country that for decades struggled to cast off one for cheap manufacturing. Daniel Lee, who works as a staff member for a university in Seoul and just got married, turned to Samsung for almost every appliance in his apartment, including a TV, washing machine, dryer, vacuum cleaner, refrigerator, air-conditioner and electric bidet. He wanted to get a dishwasher from Samsung, he said, but it did not sell a size that fit in his kitchen. “I’ve had good experiences with Samsung products and customer service,” said Mr. Lee, who is no relation to the Samsung-controlling family. That combination of business success and familial power-hoarding complicates Mr. Lee’s fate. In some ways, his sentence reflects frustration from South Koreans outraged that his father, Lee Kun-hee, twice avoided prison despite his convictions. At the same time, the Lee family rivets attention in ways that would be unusual for business figures in other countries. When the younger Mr. Lee appeared at a parliamentary hearing on the bribery scandal last year, the lip balm he sporadically used on camera was among the top-searched items on Naver, the country’s most popular search engine. Kim On-soo, 30-year-old administrative staff member of a university in the South Korean city of Daejeon, said he had been taught from an early age that the more South Korean companies exported, the better it was for the country. Samsung, with its world-famous Galaxy brand of smartphones, represented an example of that success. “Until the Galaxy was released, my American friends thought Samsung was Japanese,” he said. Mr. Kim said the bribery trial had soured his view of Samsung, though he would still buy the brand. “I sometimes wonder if we’ve all been brainwashed,” he said. Thank you for sharing daily updated news here.